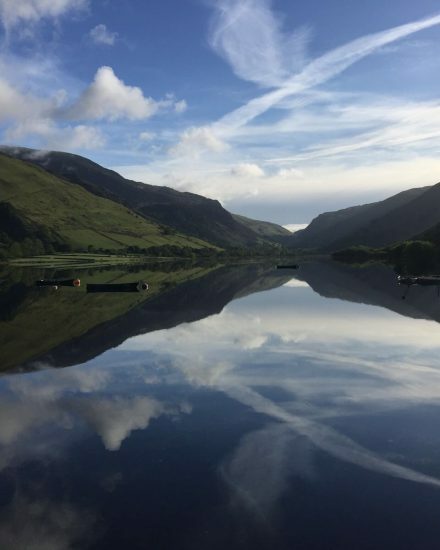 One of the most photogenic valleys in all of Wales, The Tal-y-llyn lake is surrounded by steep heather clad hills from which water cascades down into the fast-flowing river Dysynni. Although the lake stretches out a mile and a quarter, it is only 3 metres in depth and its vast watery expanse mirroring the sky above makes it a photographers’ paradise. In English romantic writing, the lake is known as ‘The Lake of the Quiet Retreat’, which it certainly is.